Stonewall Gazette: Book Review: Armistead Maupin's "Mary Ann in Autumn"
Book Review: Armistead Maupin's "Mary Ann in Autumn"
"Armistead Maupin's latest return to his landmark and influential Tales of the City series of books, originally a newspaper serial in the 1970s that later became three different TV mini-series, is Mary Ann in Autumn (Harper, $25.99), which was released this week. It's a solid entry, a very pleasant read that stands up nicely alongside the first six books," writes Brent Hartinger. "After more than 20 years away, Mary Ann, now age 57, has returned to San Francisco from Connecticut to stay with Mouse, who has a new life with his younger partner, Ben." 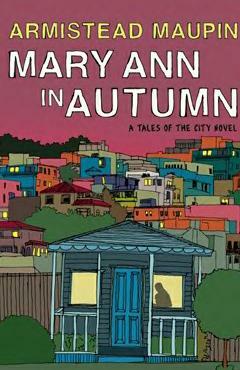 Continue reading Brent Hartinger's book review Armistead Maupin's "Mary Ann in Autumn" is Like Tea with an Old Friend.